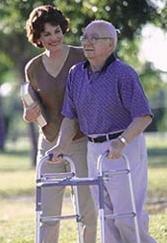 We are committed to providing our clients with the most professional caregivers in the area. In order to ensure this, we look for warm, honest, caring people, and then we help them to gain the education necessary to become the best around. Our caregivers have the opportunity to become Certified Companion Aides, CCA’s®, a designation that elevates their knowledge and status in the industry. Thank you for your interest in working with us to make life better for seniors and their families. We look forward to being able to discuss employment opportunities with you, and to advance your training, skills and career. You can start the process of becoming a caregiver with Ashland Vine Senior Home Care by submitting an application.